LINCOLNSHIRE, IL – May 16, 2017 - Zebra Technologies Corporation (NASDAQ: ZBRA), a global leader in providing solutions and services that give enterprises real-time visibility into their operations, today announced the new ZC10L, Zebra’s first large-format, direct-to-card printer capable of creating full and durable, edge-to-edge color cards in one printing process. The ZC10L printer enables on the spot customization for oversized badges for conferences, festivals, sporting events, concert tickets/passes and more. FOX Broadcasting recently selected the ZC10L to improve and optimize the onsite badge printing process at a 2017 VIP event in Houston, improving the overall guest experience. The ZC10L is Zebra’s first printer capable of printing entire, large format edge-to-edge cards without the need for reprinting. Larger format badges are easier to see and read, which helps increase security by enabling event staff to easily identify invited guests. With the flexible ZC10L card printer, event organizers can customize cards on the spot for each guest and even add guest instructions or fine print on the back of the cards. FOX Broadcasting used the ZC10L to print VIP badges to help communicate attendee identification, check-in times, gift bag distribution and access levels. The high-quality badges and passes produced by the ZC10L are printed on durable PVC material and can serve as guest mementos following the event. The unique badge design also utilizes substantially less PVC than traditional badges, which is better for the environment. 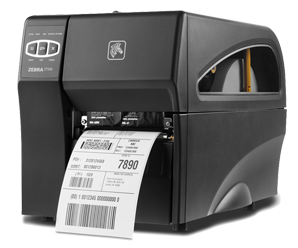 Zebra also offers synched supply kits sold exclusively for the ZC10L that feature 400 PVC cards and ribbon rolls to eliminate waste or mismatched supplies. Read this case study to learn more details about how the ZC10L helped Fox host a more impactful fan experience.